bridle into a bitless bridle for very little money. The Noserope comes in 4 varieties. A standard sidepull that works on the side and the top of the nose. The standard x under that works around the nose and on the side, The four ring x under that works around the nose but slightly stronger than the standard. And finally, The Rope Hackamore the strongest of all. Closes up similar to the normal hackamore without the poll pressure which some horses do not like. To fit just remove the noseband and bit off your bridle and fit the noserope onto the cheek pieces in place of the bit and attach the reins. Please just give me a call. 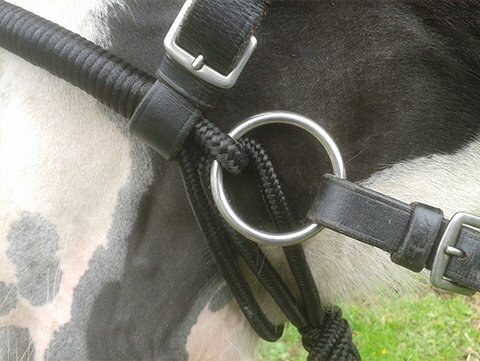 A breaking aid, to teach your horse about pressure and release without the bit. Moving on from the rope head collar. 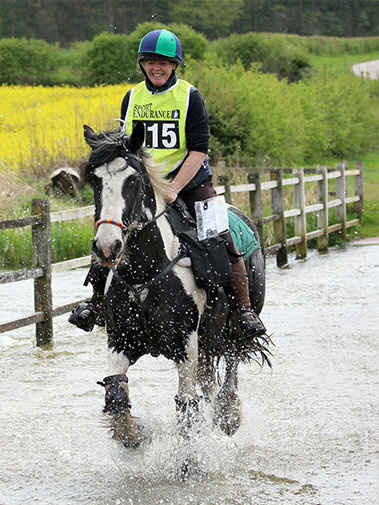 Horses that can not take the bit. Happy hackers – as it can come with a tie up ring. Those interested in natural horsemanship. Teaching a horse to respond to the lightest of aids. Works by putting pressure on the top of or around the nose depending on your choice, and the side of the face for steering. Sizes from small pony to draft. 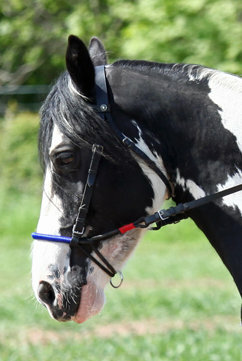 Fits on the cheek pieces of any normal bridle and fits any reins. Made from soft braid on braid rope.